A tube sock with special pockets for Heat Factory warmers. 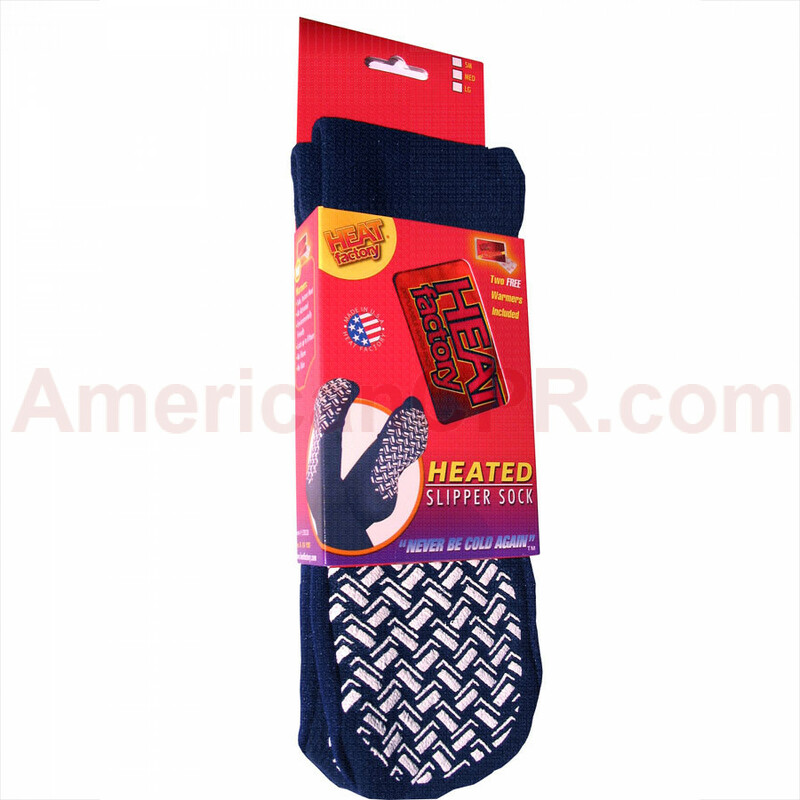 (85% acrylic & 15% nylon) Each pair of Slipper Socks includes 1 pair of Heat Factory Mini Warmers. Bubble grippers on the bottom of the sock help prevent slipping. Slipper Sock w/ Warmers - Medium, 1 Pair - Heat Factory.